Morals and Markets; An Evolutionary Account of the Modern World (2008) | Moral Markets? In Morals and Markets; An Evolutionary Account of the Modern World economist and evolutionary game theorist Daniel Friedman demonstrates that our moral codes and our market systems, while often in conflict, are really devices evolved to achieve similar ends, and that society functions best when morals and markets are in balance with each other. 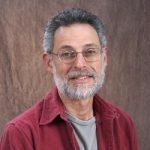 "I can't better explain what Daniel Friedman tries to do in this book than to quote from the first page. 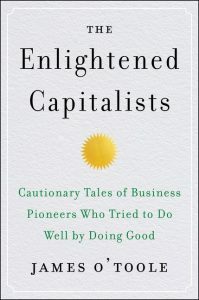 "This book has a thesis about how human morals and markets shape our world. Once grasped, the idea is rather simple. But it goes against ideologies of both the Left and the Right, so it takes a while to explain. [...] The book is based on science. It is my personal summary of insights recently gained by an amazing collection of economists, anthropologists, psychologists, biologists, political scientists, and mathematicians. But the book is not a scientific monograph. It aims to enlighten, entertain, and inspire the reader to learn more. I try to convey the main ideas by telling true stories." [...] Anyone interested in the topic of markets and morals will profit from Friedman's dazzling tour of a range of literature. [...] Given that history of economics has vanished from the graduate curriculum, I am troubled when economists write about our past since they may be writing about books they haven't studied carefully. Care comes and goes in Friedman's book. [...] I don't want to close the review on a grumble, especially since taking care of the problems I see would only strengthen the argument. This is a terrifically fun book. You'll like it, and I'd bet that your students would like it too." 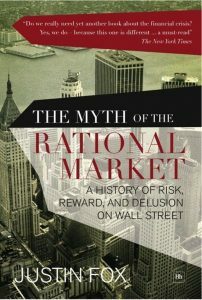 "it is about how markets and morals have coevolved, and it actually harks back to pre-modern days. If this is not ambitious enough, consider the fact that Dan Friedman chooses as his method employing vignettes drawn from an interdisciplinary mélange that includes history, anthropology, and biology. And, he does all of this in fewer than 200 pages. What would almost certainly otherwise be a rambling and ultimately pointless endeavor is held together by some fascinating underlying themes: that much in our world, not just in our economy, is a gloss on game theory, and in particular on prisoner's dilemmas; that even primitive societies distinguished between the present and the future and thus considered trade-offs between the short run and the long run; and that the 'tragedy of the commons,' so often relied on by conservative free-market ideologues as a justification for privatizing everything, can nevertheless admit of another possible solution - one managed by resorting to democratic principles rather than unfettered markets. 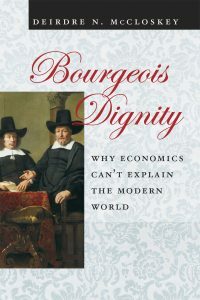 [...] It is a telling comment on the relative importance of markets and morals in Friedman's vision of how our society has evolved that the reader is constantly trying to decide what 'morals' are in Friedman's lexicon and whether that notion itself has evolved over the course of his chapters. [...] In a nutshell, his argument is that the interplay of morals and markets has brought us to the present. Sometimes morals led the way (as they did almost exclusively in the beginning); sometimes markets were more dominant (their ascendency was marked by the dawn of the Industrial Revolution). There have also been periods and situations in which markets and morals worked hand-in-hand. In Friedman's view, this 'marriage of markets and morals' is fervently to be sought, so much so, in fact, that where the marriage is in trouble we should try to save it by re-engineering our morals. Morals must bow to 'market imperatives.' [...] Notwithstanding my disappointment with the destination, I still recommend taking the trip. 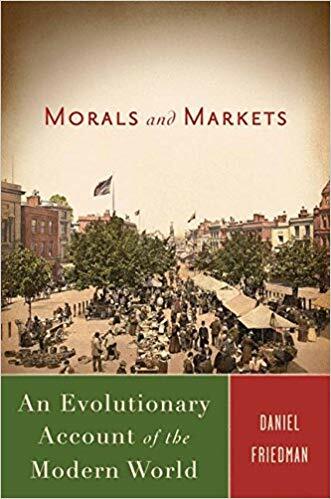 Morals and Markets is an elegant treatment of important and complex issues in thoughtful and provocative ways; that alone for me would be enough to justify its full opportunity cost. Readers will find it entertaining in the bargain."